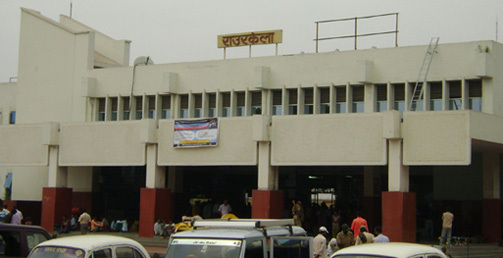 Rourkela Railway junction is situated in Howrah-Mumbai line under South-Eastern Railway. Apart from Rourkela Station the other stations in Sundargarh District are Bondamunda, Rajgangpur , Kalunga , Kansbahal , etc. The Steel City is well connected through Railway from Howrah & Mumbai. Apart from this the city is directly connected with Delhi, Chennai, Bangalore, Ahmedabad, Ranchi, Dhanbad & Pune too. Many goods train also pass through Rourkela every day. Rourkela is a prfit generating junction of South-Eastern Railway. From Rourkela junction one line also goes to Biramitrapur where two from Bondamunda. One more line goes from Bimalagarh to Kiriburu .